Rishiraj Institute of Technology was established in 2002 & it has come a long way. It has carved a niche for it self. It is considered one of the leading & renowned technical institutes in Indore today. It has magnificent building, state-of-the art laboratories, enriched library & spacious playground. Beside engineering, different courses of professional education like MBA & Pharmacy are provided which are approved by AICTE, New Delhi, Govt. of India & Department of Technical education, Govt. of M.P. All B.E. programmes are affiliated to R.G.P.V. Bhopal. M.B.A. programme is affiliated to DAVV Indore. This Institute is a quintessential of a quality technical education. ILM Campus Consulting Pvt. Ltd. Planet Research and Development Center Pvt. Ltd.
Prima IT Soln. Pvt. Ltd.
Rishiraj Institute of Technology RIT, Indore offers various graduate courses as well as Post Graduate courses. Rishiraj Institute of Technology RIT, Indore is affiliated to Rajiv Gandhi Proudyogiki Vishwavidyalaya (RGPV), Bhopal. 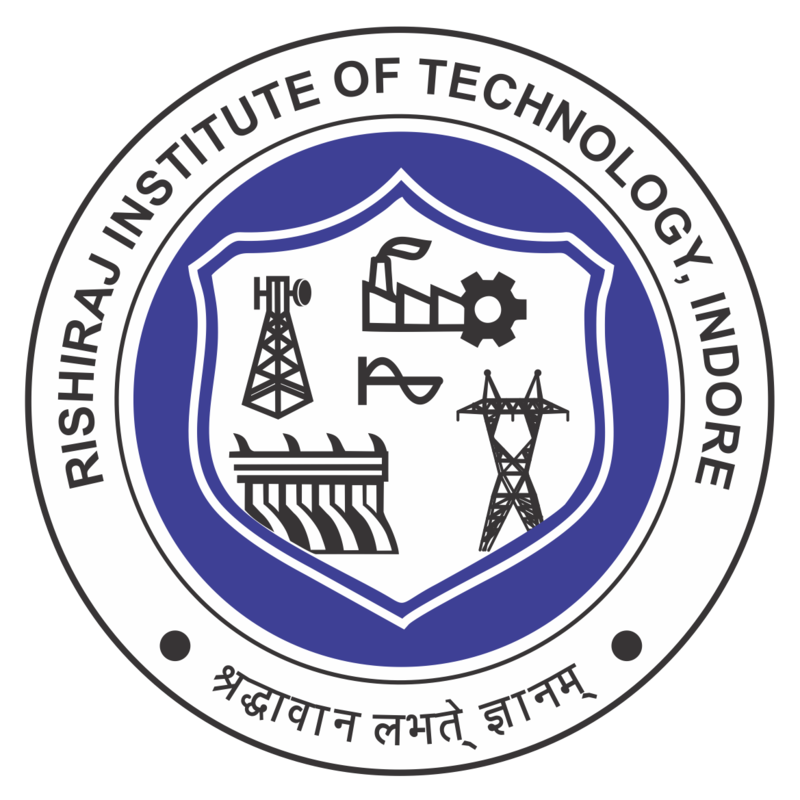 List of facilities available at Rishiraj Institute of Technology RIT, Indore for students.